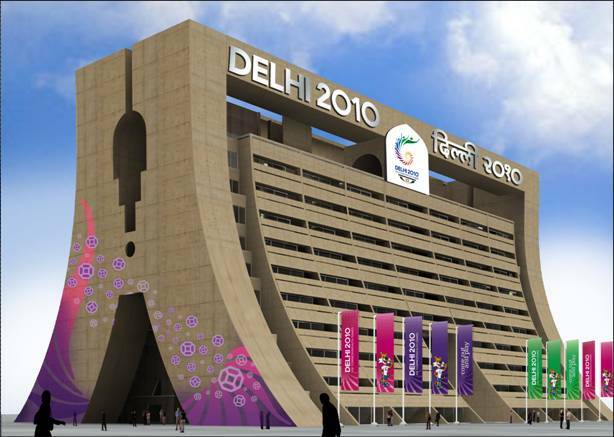 The OC CWG Delhi 2010 is located in the iconic New Delhi Municipal Council (NDMC) building, opposite Jantar Mantar, Connaught Place, New Delhi. 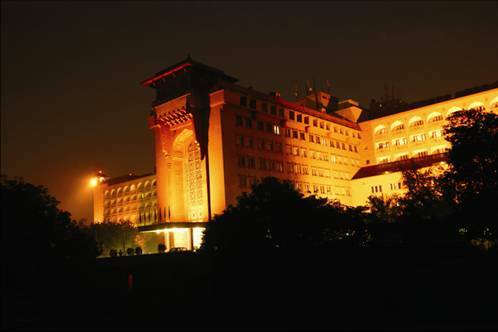 The office is spread over nine floors with a capacity to accommodate a workforce of over 1,200. Its effective structural design, modern facilities, accessibility from all parts of Delhi, multi-level parking space and 24-hour power backup make it a state-of-the-art workspace. The design concept of the interiors of this uniquely shaped building showcases India of the 21st century, an amalgamation of tradition and technological advancement. The interiors complement contemporary design elements with usage of indigenous, eco-friendly and traditional materials. 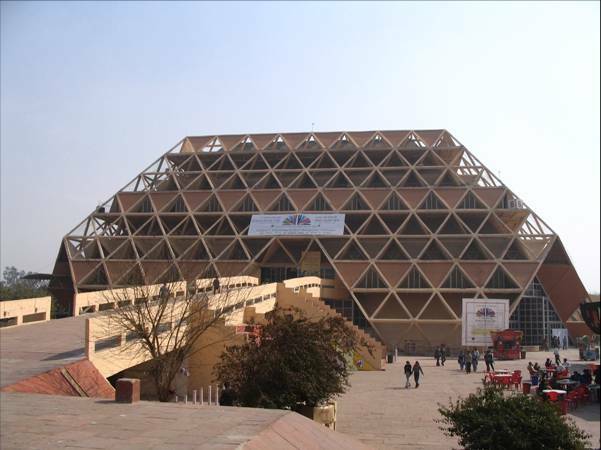 XIX Commonwealth Games 2010 Delhi`s state-of-the-art Main Media Centre (MMC), which will comprise the International Broadcasting Centre (IBC) and the Main Press Centre (MPC), will be set up in close proximity to the Games Village and the main venues at Pragati Maidan. While the IBC will be managed by the host broadcaster Prasar Bharti, the MPC will be managed by the Press Information Bureau, (PIB), both state owned agencies. GoI plans to stop analogue broadcast in New Delhi before the D2010. Prasar Bharati will start high definition TV service on an experimental basis soon. New Delhi will become the first city in India to have digital broadcast through conditional access system by the time Games are held. Hotel Ashok, in New Delhi, has been officially recognised as the Games Family Hotel. On 4 June 2009, a Memorandum of Understanding (MoU) was signed between OC CWG Delhi 2010 and India Tourism Development Corporation (ITDC) in this regard. Hotel Ashok offers 500 rooms and as the flagship family hotel, it will serve as host to members of CGAs, the CGF, International Sports Federations, Technical Delegates and the IOA. The hotel’s rooms and suites as well public areas hotel such as the lounge, lobby and restaurants are being renovated and given a major facelift. 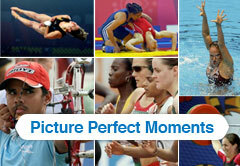 The hotel will host the facilitation offices of the OC CWG Delhi 2010 and the CGF. 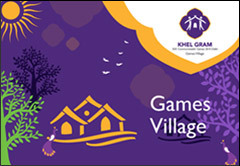 All events, meetings and conferences, etc., will be held at the Games Family Hotel. 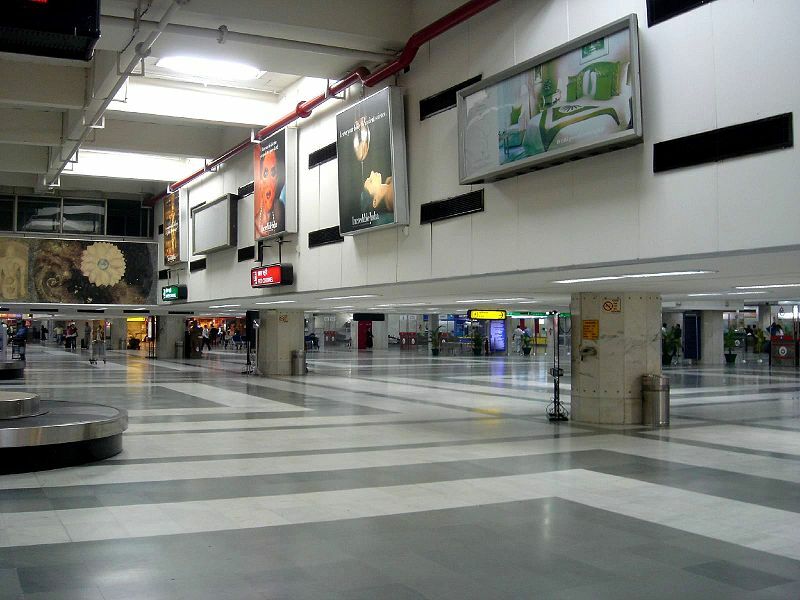 Delhi’s airport is being modernised, upgraded and expanded to handle the passenger traffic envisaged during the XIX Commonwealth Games 2010 Delhi. Passenger and baggage handling facilities have been upgraded and a new 4.43 km runway, the longest operational runway in Asia, became operational in 2008. It is fitted with the highly-sophisticated Instruments Landing System (ILS) on both sides, and is built to the highest Code F standards. Expansion plans include the construction of a new state-of-the-art terminal (T3) with a capacity to handle 35 million passengers per year. It will have 75 aero-bridges, of which nine will be compatible to handle operations of mammoth A-380 aircraft. It will have 20 parking bays for passengers.The terminal, connected with all types of transport systems, will have an advanced five-level in-line baggage-handling device with explosive-detection technology for high-class efficiency and security. There will be 160 check-in counters for fast clearance and more number of immigration counters. The departure complex will be situated on the upper deck of the two tier building and arrival on the lower deck. The roof of the building will have stylised incisions to allow daylight, but it will be angled to protect the interior from direct sun-rays. The airport’s connectivity with the city will be enhanced through a six-lane highway (National Highway 8). The Metro Rail will also have a dedicated corridor from the airport to the Games Village for easy transfer of athletes and officials.